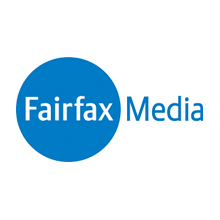 Fairfax Media is a leading multi-platform media company in Australia and New Zealand. The group comprises metropolitan, rural, regional and community mastheads that offer high-quality, independent journalism and dynamic venues for commerce and information. Fairfax operates five business divisions: Australian Publishing Media, Domain, Digital Ventures, Fairfax Radio and Fairfax New Zealand. Australian Publishing Media has four publishing units – News Media, Business Media, Life Media and Australian Community Media – that generate content across all media platforms for major mastheads The Sydney Morning Herald, The Age, The Land, The Australian Financial Review, The Canberra Times, brisbanetimes.com.au, WAtoday.com.au, among many others, as well niche websites such as essentialbaby.com.au and thevine.com.au. The APM division also produces prestigious conferences and events that attract large-scale, highly engaged audiences and community participation.